Flores Rios, Mauricio. Chess Structures: A Grandmaster Guide. Glasgow: Quality Chess, 2015. 464pp. ISBN 978-1784830007. PB $29.95, currently around $22 at Amazon. One of the marks of the strong player, as opposed to the novice, is that she knows how to derive some of the positional traits of any given position from its pawn structure. Such knowledge comes from induction and experience, but precisely how one gains that knowledge… well, there’s the rub. A few books – most notably Andy Soltis’ Pawn Structure Chess and, to a lesser degree, Jeremy Silman’s How to Reassess Your Chess – have been written to that end. Now Mauricio Flores Rios has made a welcome and important addition to the literature with Chess Structures: A Grandmaster Guide. Mauricio read books, analyzed his games and prepared openings. I did these things too, but in reality the vast majority of my time was spent looking over current chess games and playing. I was surprised when Mauricio told me he had written a book partially inspired by my training methods, and I was certainly interested to see what was in it. We might say that Flores Rios’ approach is the classical one, not dissimilar from the methods used by all the great players in the pre-computer era. I imagine Bachmann, in contrast, downloading new issues of TWIC each week and playing through each and every game at high speed, turning on the engine to check a few things, and then retiring to ICC for blitz and some R&R. Bachmann’s study method is basically that proposed in many places by Jeremy Silman over the years. Play through as many master games as possible, as quickly as possible, and you will begin to pick up typical themes as if by magic. But few people possess the sitzfleisch required to play through so many games, and there’s no guarantee that the conceptual osmosis will take place. So we might see Flores Rios’ book as a middle path, where the Grandmaster selects games that are particularly instructive for typical ideas, analyzes them, and distills them down to the most essential patterns and ideas. We can break the typical pawn structures in Chess Structures: A Grandmaster Guide down in a few ways. There are five main ‘families,’ for instance: those that come from d4 and …d5, Open Sicilians, Benonis, King’s Indians and the French. Each of those five families is broken down further into 21 categories (with seven additional categories crammed into a ‘catch-all’ section). With each category the defining pawn structure is named and typical plans and ideas are discussed, model games are given, and summaries provided. A set of exercises and solutions round things out. Let’s take as an example his coverage in Chapter 7 of the Grunfeld Center. It begins with a schematic diagram of the pawn structure in question, and we leave aside for now the question of why the g-pawn remains on g7. As part of his introduction to each chapter, Flores Rios offers summaries of typical plans for each side. Here is what he says about the Grunfeld Center. Create a central passed pawn with d4-d5, dominate the center, gain space. Create a kingside attack, which will probably include the moves h2-h4-h5 and e4-e5 to gain control of the f6-square, which is usually weakened when Black develops his bishop on g7. 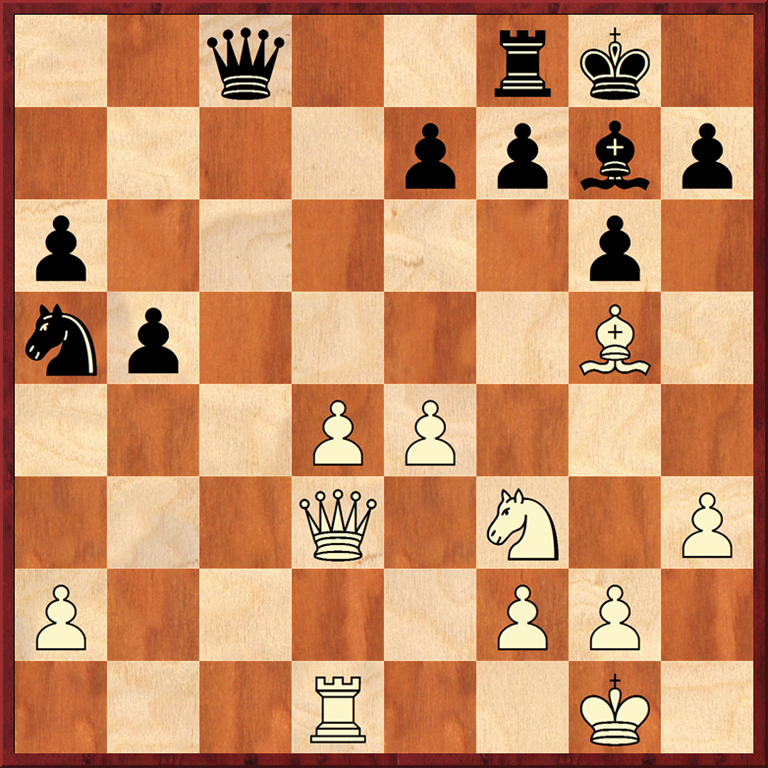 Create a queenside passed pawn, especially after some simplifications. Pressure the center, place a rook on the d-file and find tactical resources associated with the open position. In general White will get pretty good middlegame opportunities since he dominates the center and has a little more space. This advantage disappears rather easily, as the position is open and Black has multiple opportunities to trade off pieces heading into a good endgame. One major factor in this position is control of the c-file. 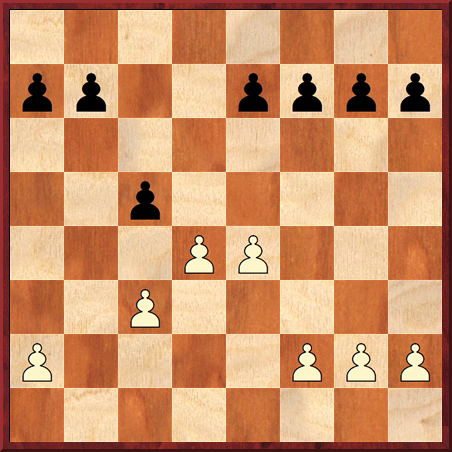 If White controls the c-file it will be easier for him to expand, to create a passed pawn, to neutralize Black’s play. Likewise, if Black controls the open file, White’s central or kingside play will face many difficulties. One may say that open files are always important, which is often true. But in this position the open file is even more important than usual – it is essential. There are then a series of annotated games that are used to illustrate his main points. In the first of the five games in the Grunfeld Center chapter, Flores Rios makes a point so striking (at least to me) that it is worth another diagram. 21…Re8?! In the post-mortem, Kasparov referred to this move as a positional blunder, saying that after losing the c-file his position was ‘completely lost.’ He probably exaggerated, but the point is clear: fighting for control of the c-file is an essential task in this kind of position. 22.Rc1 += A logical decision, taking control of the essential c-file. This note is typical of Flores Rios’ style and ability. He is very good at explaining what is going on to his audience, who are mostly non-grandmasters and who also tend to rely on engine evaluations a bit too much. These notes are backed up with concrete analysis, and in most cases he hits just the right note when trying to balance brevity and depth of analyzed lines. I also found some of the explanations of endgame positions very useful, with the discussion of the value of space in an endgame from the IQP chapter popping into my head during a few of my own games. If I had to guess, I’d wager that Flores Rios was consciously trying to emulate his college textbooks when writing Chess Structures. Each game is tagged with a learning objective, and ‘final remarks’ are provided after each game as well. It seems that a lot of thought went into the pedagogical makeup of the book, and that effort has paid off grandly. This is among the best non-beginner works for learning chess that I’ve seen. Chess Structures: A Grandmaster Guide is not a primer of positional play; for that, try Michael Stean’s Simple Chess, Herman Grooten’s Chess Strategy for Club Players, or Silman’s aforementioned How to Reassess Your Chess. Instead, you might think of Chess Structures as positional chess ‘finishing school.’ Flores Rios does an exceptional job of clearly describing the interrelation between pawn structure and planning, and he offers his readers a stockpile of typical plans and ideas in most of the major pawn configurations. Here’s hoping that this is not the last book we see from this young Grandmaster! This entry was posted in Instructional, Middlegames, Openings and tagged Chess Structures, Chess Structures: A Grandmaster Guide, Flores Rios, Mauricio Flores Rios, Quality Chess on April 8, 2015 by fullcityplus. I bought this book because of your review and have been enjoying it immensely! Couldn’t agree more with your review. Thanks! Glad you’re enjoying the book! Also available through ForwardChess.com, although there the sample of the book for downloading in the FC app is too sparse to see enough of the book to judge whether to buy it. John’s review gives a sense of the book, seems like it might be an excellent book.